Precise Dental will be glad to provide you with the appropriate crown for your mouth’s needs. Contact our office in Tucson any time to find out exactly what we can do for you. We understand that your time is precious, and that spending extra time in the dentist’s office is not necessarily your idea of a good time. That’s why we work to make your visits here comfortable and efficient, and provide the treatment you need in as few appointments as possible. We are able to help the process along by observing the latest technological advancements in the industry, and employing a team that is highly trained and experienced. One of the services we offer here are Same Day Crowns. First, a special camera scans your tooth to create a three dimensional image. We then use that image to design and create your custom crown right here in the office. You don’t have to go though the discomfort of impressions and a temporary crown — simply wait until we’re finished and leave with your new crown. 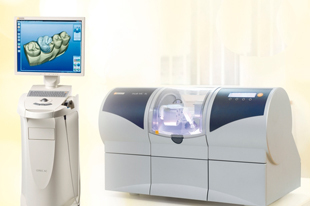 The three dimensional computer imaging allows us to make crowns that are developed specifically for you, and seal perfectly to your tooth. This means greater durability and a longer lasting prosthesis. 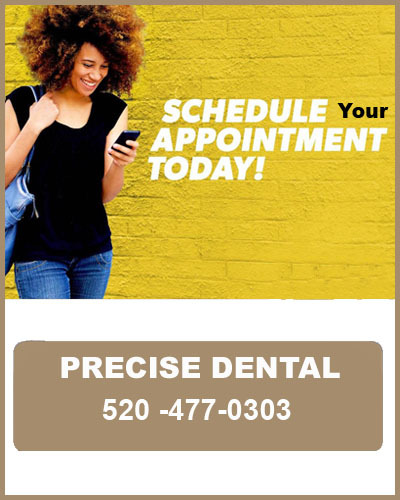 Precise Dental takes pride in giving you a high quality crown, and not requiring your to wait more than one appointment’s time.